AFROTC is a professional training program for college students in any major. Classes are at no cost to the student and meet just one day per week (Thursday) at Wilkes University. The program provides students the opportunity to develop and practice leadership and team-building skills, along with a wide range of professional qualities that will be beneficial no matter what career path they choose. Academic Class (one hour/week) 2:30 to 3:20 p.m. Leadership Laboratory (two hours/week) 4 to 6 p.m.
Group Fitness Session (one hour immediately following Leadership Lab) 6 to 7 p.m.
During the program, students are afforded various opportunities and experiences at NO COST to create a unique and memorable college experience, develop and practice hands-on leadership skills and receive expert mentoring from trained Air Force faculty in an environment that encourages students to develop and grow to their fullest potential. Students will make personal connections with peers from other schools and make friendships outside of their major. It's an excellent opportunity for peer mentoring and to be engaged in a welcoming and positive support network that strives for excellence. 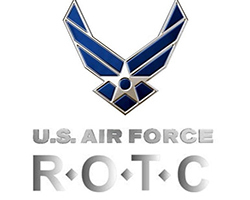 Air Force ROTC can help pay for college and jumpstart your career! As a member of Air Force ROTC, you will enjoy college life just like any other student! There are a variety of paths available with varying obligations, outcomes, and options. You can wait until your junior year to decide if you want to commit to becoming an Air Force officer. AFROTC works closely with the Air National Guard and Air Force Reserve should you decide you wish to continue your Air Force affiliation part-time or locally after graduation. We offer a wide variety of AFROTC scholarships to both high school & college students (full and partial tuition). 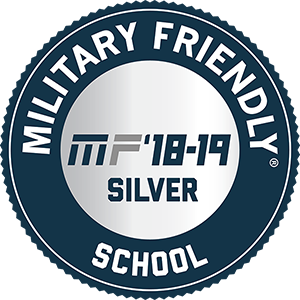 Should you choose to continue in the AFROTC program for active duty, students who apply and qualify will have a guaranteed, full-time professional career serving in a leadership role (not entry level) as an Air Force Officer post-graduation in a career field based on their educational background and experience. Contact the AFROTC department, and we will take care of the registration. You will be registered through Wilkes as a “non-degree seeking student” and will receive an official transcript. We Welcome Visitors! To schedule an in-person tour at our offices at Wilkes University in Wilkes-Barre, please contact us at 570-408-4860 or email at rotcdl@wilkes.edu to set up an appointment that fits with your schedule.